The violent injunctions of the Quran and the violent precedents set by Muhammad set the tone for the Islamic view of politics and of world history. Islamic scholarship divides the world into two spheres of influence, the House of Islam (dar al-Islam) and the House of War (dar al-harb). Islam means submission, and so the House of Islam includes those nations that have submitted to Islamic rule, which is to say those nations ruled by Sharia law. The rest of the world, which has not accepted Sharia law and so is not in a state of submission, exists in a state of rebellion or war with the will of Allah. It is incumbent on dar al-Islam to make war upon dar al-harb until such time that all nations submit to the will of Allah and accept Sharia law. Islam's message to the non-Muslim world is the same now as it was in the time of Muhammad and throughout history: submit or be conquered. The only times since Muhammad when dar al-Islam was not actively at war with dar al-harb were when the Muslim world was too weak or divided to make war effectively. But the lulls in the ongoing war that the House of Islam has declared against the House of War do not indicate a forsaking of jihad as a principle but reflect a change in strategic factors. It is acceptable for Muslim nations to declare hudna, or truce, at times when the infidel nations are too powerful for open warfare to make sense. Jihad is not a collective suicide pact even while "killing and being killed" (Sura 9:111) is encouraged on an individual level. For the past few hundred years, the Muslim world has been too politically fragmented and technologically inferior to pose a major threat to the West. But that is changing. 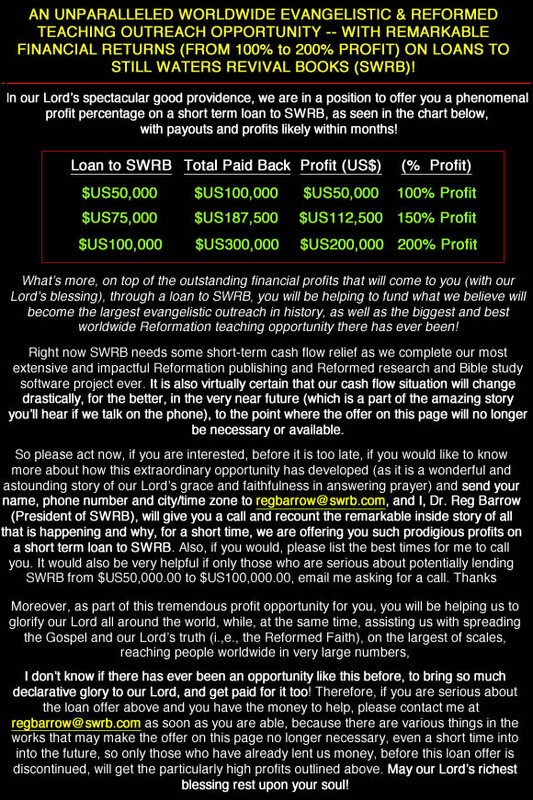 As with all links we (SWRB) provide we only agree with that which agrees with the Bible at the landing pages to which these links point. The Atlantic: "The Islamic State is Islamic. Very Islamic." The Koran specifies crucifixion as one of the only punishments permitted for enemies of Islam. The tax on Christians finds clear endorsement in the Surah Al-Tawba, the Koran's ninth chapter, which instructs Muslims to fight Christians and Jews 'until they pay the jizya with willing submission, and feel themselves subdued.' The Prophet, whom all Muslims consider exemplary, imposed these rules and owned slaves. Leaders of the Islamic State have taken emulation of Muhammad as strict duty, and have revived traditions that have been dormant for hundreds of years." Excerpt: "For 13 teenage boys in the Iraqi city of Mosul, watching the Asian Cup soccer match between Iraq and Jordan would reportedly cost them their lives. Under the Islamic State's barbaric ideology, the act of watching the game on television was an offense punishable by death. The young boys were grabbed by terrorists and then publicly executed by a firing squad, according to the activist group Raqqa is Being Slaughtered Silently. Before being shot to death by machine guns, the terrorists reportedly announced the boys' "crime" of breaking religious laws by watching sports over a loud speaker. The activist group added, "The bodies remained lying in the open and their parents were unable to withdraw them for fear of murder by terrorist organisation."